Keep your cool during the dog days of summer with these fast, easy and affordable meals’ no cooking required! The last place you want to be is cooking over a hot stove. Don’t run out to the drive-thru just yet, you can still whip up affordable and healthy meals with products you can find right in your pantry! Give your oven a summer vacation too and check out these no cook noshes that will keep your family happy and your kitchen cool. In a medium bowl, combine tuna, mayonnaise, celery, raisins, nuts, and dill; mix well. 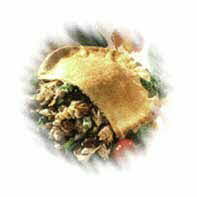 Line each pita pocket with leaf lettuce; fill with 1/4 tuna mixture. In a large bowl, toss together apples and lemon juice. 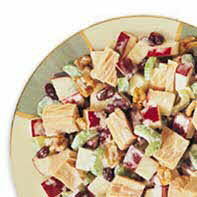 Add celery, raisins, walnuts, and tuna; toss gently. In a medium bowl, combine mayonnaise, milk, and cinnamon; blend well. For a sweeter dressing, add sugar. Pour dressing over apple-tuna mixture; toss gently to coat. **If you are looking for a no-cook/no-prep meal on-the-go check out the new StarKist Tuna Salad Sandwich-Ready Pouch - shelf stable, no draining or mixing required and only 100 calories or less per pouch! For more easy recipes visit www.StarKist.com.